Plans to create what is claimed will be the biggest ski area in the US have been given the green light. The $50 million project, which is scheduled to be completed in time for next season, will connect two Utah resorts - Park City and Canyons - with a high speed, eight seat gondola. Both resorts have lovely intermediate terrain ideal for senior skiers. 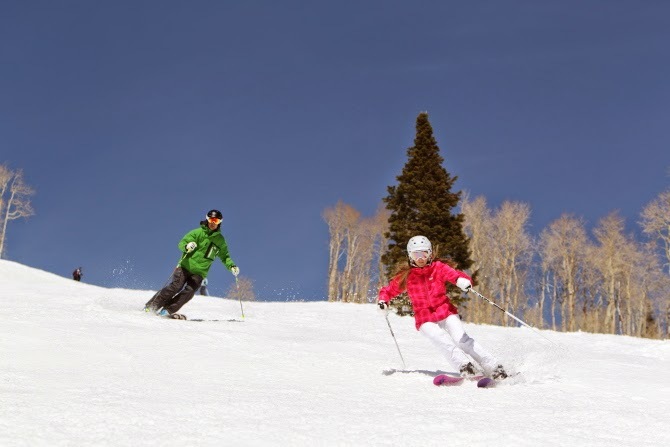 The link will enable skiers and snowboarders to access Thaynes Canyon at Park City via an entry gate or in the reverse direction via new trails to be cut from Pine Cone Ridge. The investment will also cover lift upgrades and a big new restaurant in Park City and improvements to existing restaurants in Canyons - plus additional snow making. Both ski areas are part of the Vail Resorts stable, which - besides Vail itself - encompasses resorts including Beaver Creek, Breckenridge and Keystone (Colorado) and Heavenly, Kirkwood and Northstar (California). Switzerland - a raw deal?